Hello everybody, Michelle here! It’s good to be back. 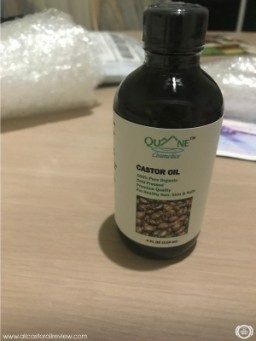 Today, I’m going to share my review of Quane Cosmetics Castor Oil and what made me love this product. The oil has powerful therapeutic properties that help improve skin, hair, and nails. This oil is 100% organic and made from high-quality ingredients. The oil has many uses and benefits, which is why I was so excited to use it. Read on to find out how I used the product. I received the package in a durable shipping bag that I had to open using scissors. 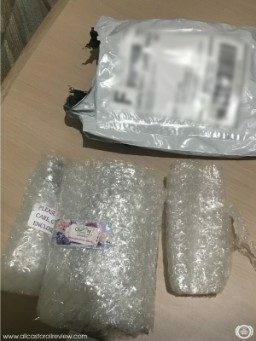 The shipping bag was sealed tight and filled with bubble wrap so the products inside don’t get damaged or broken. 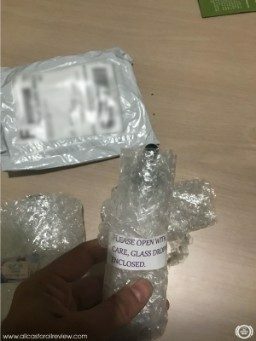 The bottle of castor oil and glass dropper was covered in several layers of bubble wrap. When I unwrapped the product, I saw that the bottle has a dark amber glass color. There is an unbroken tamper-proof seal around the cap. 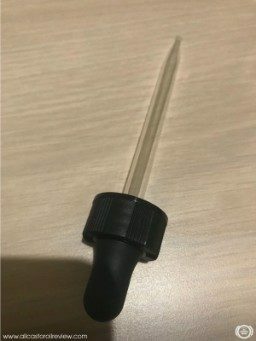 I appreciate that the package came with a glass dropper cap I can use instead of the twist cap. It is more convenient to use especially when taking just the right amount of oil. I found all the information I was looking for in the label. 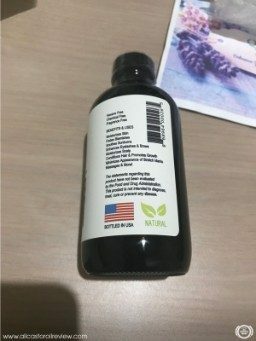 It listed the important information like the ingredient, manufacturer, caution, and directions on how to use the oil. The oil is really thick, but it didn’t feel heavy when applied on skin. I was surprised because the oil absorbed fast, leaving my skin feeling smooth and soft. I uncapped the product and used the glass dropper to take a small amount of the oil. I put a few drops of oil on the back of my hands. This oil has a clear yellow color and a mild nutty scent. The oil’s scent is so subtle that you can’t even smell it when you take a small amount. The oil is really thick, but it didn’t feel heavy when applied on skin. I was surprised because the oil absorbed fast, leaving my skin feeling smooth and soft. I loved that the product made my skin plump instantly. A few minutes after application, I noticed that the oil’s scent faded away. This DIY hot oil treatment reduced the dryness of my hair while giving it extra shine. It made my hair softer and easier to style too. 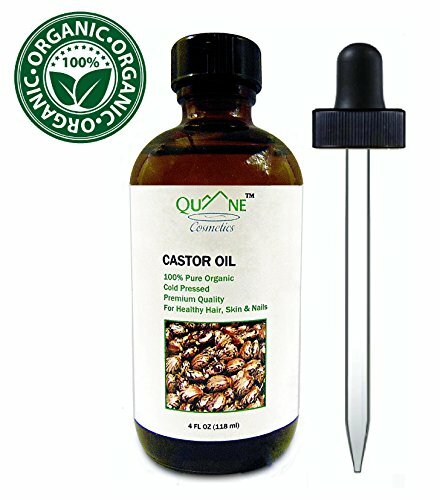 Quane Cosmetics Castor Oil is pure and organic. The oil does not contain any filler or harmful chemical so you can apply it directly on skin and hair. 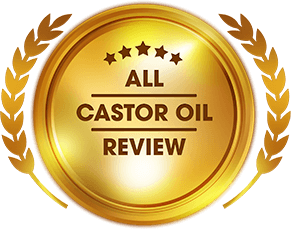 Pure cold-pressed castor oil has a lot of benefits for skin, hair, and nails. I loved using the oil for my DIY hot oil treatment. It works really well because the oil is thick but it absorbs fast into the strands. I used it every other day for two weeks to reduce the frizziness. Put 2-4 tablespoon of oil on a clear glass bowl enough to cover entire hair. Put oil in microwave for 10-30 seconds. Make sure that the oil is not too hot. Part your hair into four sections and secure with a tie. Apply the oil to each section of hair until fully covered. Avoid putting oil on scalp. Wrap your hair in a shower cap and leave on for 15 minutes. Wash away the oil with shampoo and conditioner. This DIY hot oil treatment reduced the dryness of my hair while giving it extra shine. It made my hair softer and easier to style too. I also mixed equal parts castor oil and shampoo when I wash my hair. This mixture helped control the frizziness of my curly hair. I also used Quane Cosmetics Castor Oil for my nails. I get my manicure done every month so my nails become dry and brittle. 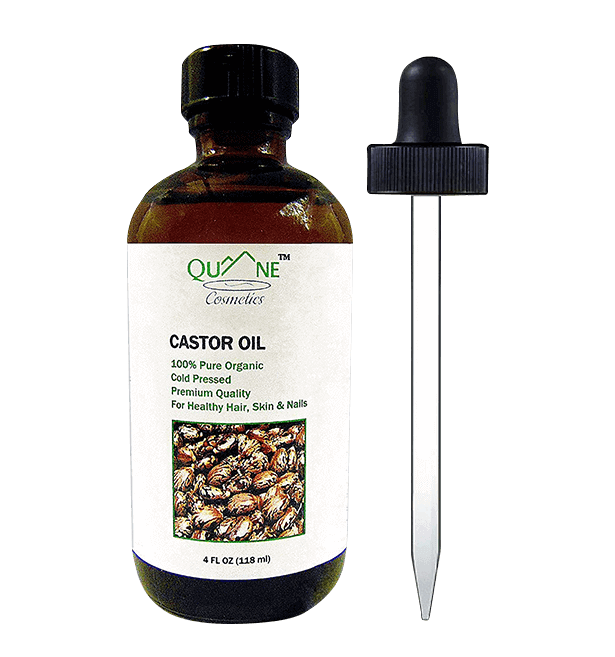 This castor oil helps strengthen my nails so it doesn’t break easily. The oil helped prevent skin around my nails from peeling too. It often happens to me after I wash the dishes or my clothes. Using detergent can make my hands dry, which results in peeling skin around my nails. What I did was I applied the oil on my nails every night. I leave it on for 3-5 minutes until the oil absorbed into my nails and surrounding skin. Doing this for two weeks reduced the dull and dry look of my nails. It prevented skin around my nails from peeling too. 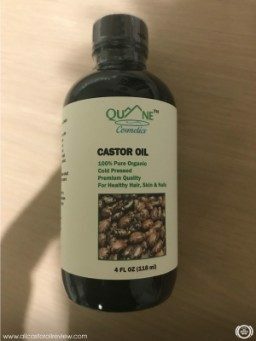 Quane Cosmetics Castor Oil made my hair shiny and soft after DIY hot oil treatments. This reduced not only my hair’s frizziness but the rough texture too. What I like about the product is that I can use a small amount of the oil and it goes a long way. It is so thick that I can use a small amount to moisturize my entire hair. Quane Cosmetics Castor Oil made my hair shiny and soft after DIY hot oil treatments. This reduced not only my hair’s frizziness but the rough texture too. It was easier to manage and style my hair after two weeks. I loved how the oil made my curls more defined as well. I only noticed it halfway during my second week of using the oil. However, I noticed that less frizziness means defined curls. I didn’t have to use styling creams and oils to bring out the shape of my curls. Even my nails look fabulous now that I’ve used the oil. I might even consider using clear nail polish now because that is how good my nails look. 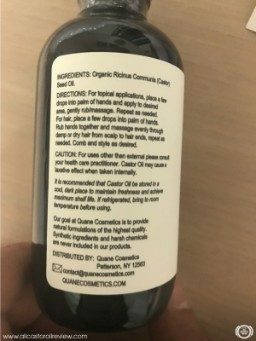 Quane Cosmetics has a wide selection of premium organic oils that can be used for skin, hair, and nails. They have natural serums that have various uses too. The brand offers purely natural formulas of high quality to customers. They do not use synthetic ingredients or toxic chemicals that can harm your body. You can buy their products and get free shipping anywhere in US. They ship fast so you can receive your orders on time. Quane Cosmetics also promise to give you full refund if you are not satisfied with their product. You can contact their customer support team, which is always available to get a refund. Try their products and see what suits your skin and hair best. Oil came in an amber glass bottle with twist cap. Made my hair softer and more manageable. Reduced frizziness too. Free shipping anywhere in US. 100% Money back guarantee.